Soundarya's wedding Rajinikanth's first heartfelt special message! 'Superstar' Rajinikanth is in a celebration mode post the huge success of his Pongal release, Petta, and now, his daughter, Soundarya’s wedding, who has now entered wedlock with Vishagan Vanangamudi, an actor and entrepreneur. 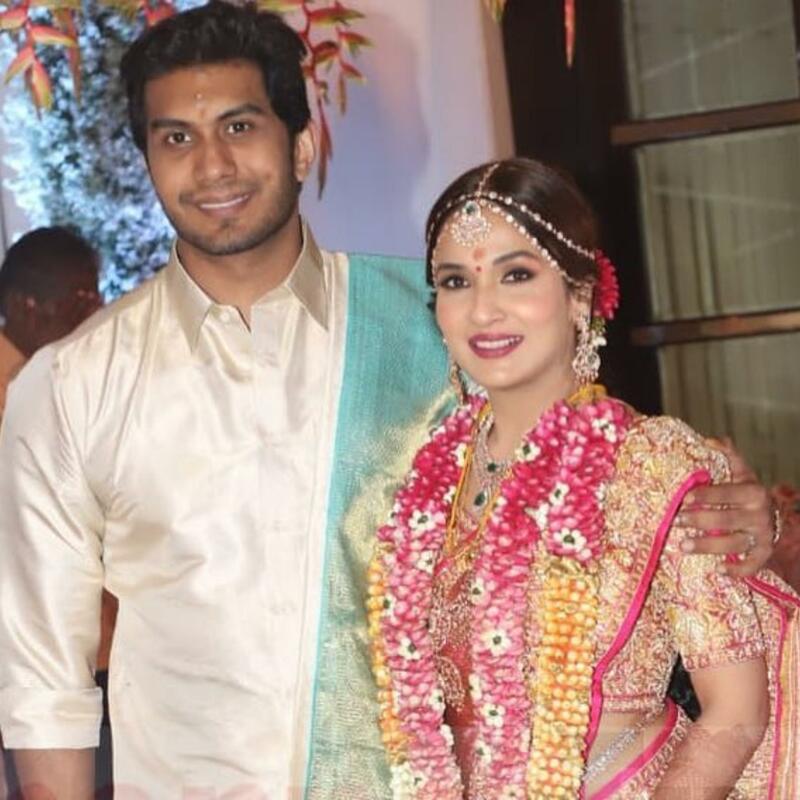 The wedding celebrations started with a pre-wedding reception of Soundarya and Vishagan at the Raghavendra Kalyana Mandapam, Kodambakkam in Chennai followed by a formal puja at their Poes Garden residence after which Sangeet, Haldi and Mehendi ceremonies were held. The lavish wedding took place at the Leela Palace yesterday (11/02/2019), which was attended by many reputed celebrities and politicians and was followed by the reception with many big shots from the country attending the event. 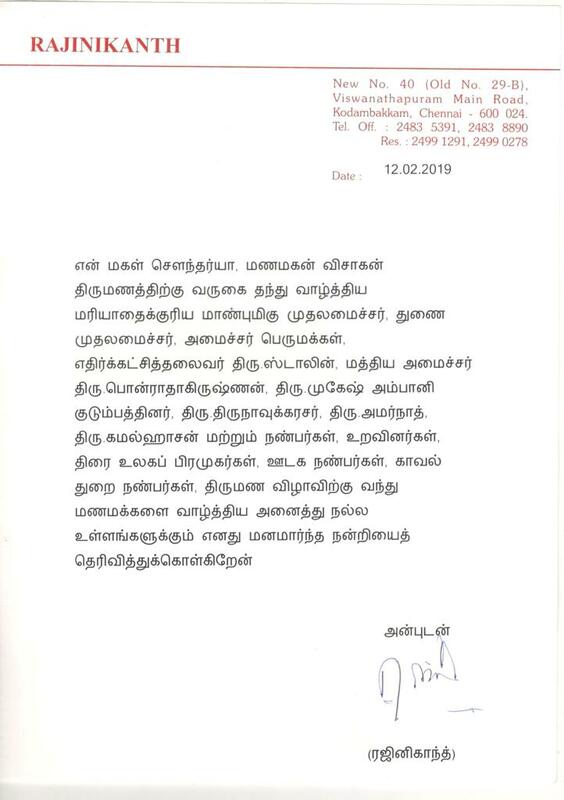 That said, Rajinikanth has now released an official statement in a press note thanking the people for making Soundarya's marriage a grand success and also expressed his gratitude for showering the couple with their blessings.